Right now I just finished reading The Three Body Problem and The Dark Forest by Cixin Liu, as well as The Stone Sky by N.K. Jemisin. I need to make my monthly trip to the local bookstore to pick up some more! What's your favorite way to read? Hardback, paperback, or tablet? I prefer both hardback and paperback, as the tangible feel of a book is a fantastic part of reading, but I can't deny the usefulness of tablets, especially as I run out of room on my bookshelves. What’s one book that didn’t make the list of 100 that you would add? Use of Weapons by Iain Banks, Good Omens by Neil Gaiman and Terry Pratchett, or any of Terry Pratchett's Discworld series. Those are all amazing and I highly recommend people check them out. Sci-fi/Fantasy is my preferred genre, mainly because it not only deals with what is (underneath all the lasers and wizards casting fireballs sci-fi/fantasy tends to be grounded on a lot of historical events), but also what might be. If we want to change our future, we have to not only know our past, but also understand what potholes to avoid in the road ahead. Sam Vimes from Terry Pratchett's Discworld series. He does what needs to be done, even when it's not popular or safe, because it's the *right* thing to do. 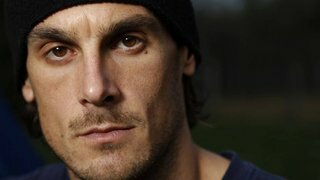 Chris Kluwe played in the NFL for the Minnesota Vikings for eight years, during which he set numerous team records. He is a published author, game designer, and stay at home dad. You can find him being Not Mad Online at @ChrisWarcraft.